On the 29th of January, Paediatric Palliative Care Specialist Dr Richard Hain gave th e first St Cross Special Ethics Seminar for Hilary Term. Dr Hain&rsquo;s talk was titled “Mere Practicality?&nbsp; Infants, interests and the value of life&rdquo;. The talk abstract and a link to a podcast of his talk can be found below. The main focus of the talk was on contemporary accounts of medical ethics and in particular on the challenge of finding an adequate account that addresses the needs of human infants. 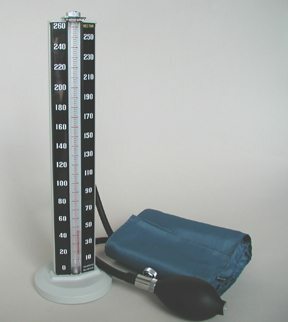 Hain drew an analogy with a blood pressure cuff or “sphygmomanometer&rdquo;. Blood pressure cuffs wrap around the upper arm, and air is pumped in to them until blood flow stops through the arm (this gives a reading of the pressure in the patient&rsquo;s arteries). Adult-sized blood pressure cuffs don&rsquo;t work well for children or infants. A too large cuff will usually give a reading that is too low because it doesn&rsquo;t take as much air to cut off the blood flow. It underestimates a child&rsquo;s true blood pressure. By analogy, Hain suggested that many accounts of medical ethics &ndash; such as Beauchamp and Childress‘ Four Principles or Peter Singer&rsquo;s Preference Utilitarianism are similarly inaccurate when it comes to infants. His talk implied two different, but related ways in which such accounts could be flawed. They may fail on procedural terms &ndash; in terms of telling us what to do when facing ethical dilemmas involving infants. However, they might also be thought to systematically undervalue infants. Accounts of medical ethics that place a great deal of emphasis on autonomy fail to be action-guiding when dealing with non-autonomous patients.